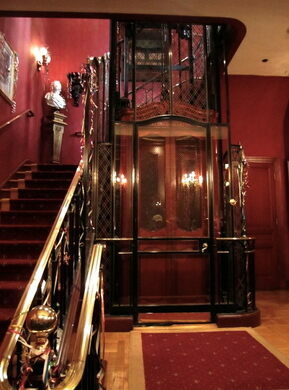 The French lift, a replica of a glass elevator Walt and Lillian Disney fell in love with while in France. 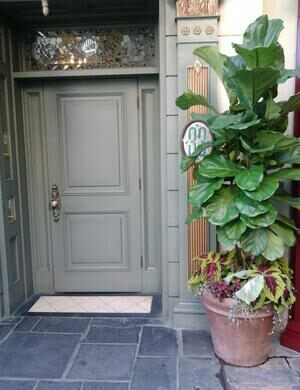 Deep in Adventureland and down a quiet street in the New Orleans sector of the park, Club 33 is tucked away behind a pale green door partially obscured by a potted plant. If finding Club 33 is difficult, getting through the door is practically impossible. With only approximately 450 members, it makes the Magic Castle look like a free-for-all. The final resting place of the songwriter who penned “Take Me Out To The Ball Game." Built in 1967 as an exclusive treat for investors, its doors opened about 5 months after Walt Disney had passed away. Stories of how it received its name vary, from the number of board members who voted to continue on without Walt, to representing the 33 corporate sponsors at the time. Both of these benign explanations gloss over another theory: that the 33, as well as other (possibly coincidental) masonic symbolism, was paying homage to Walt Disney’s rumored status as a 33rd degree mason, the highest station in the order. 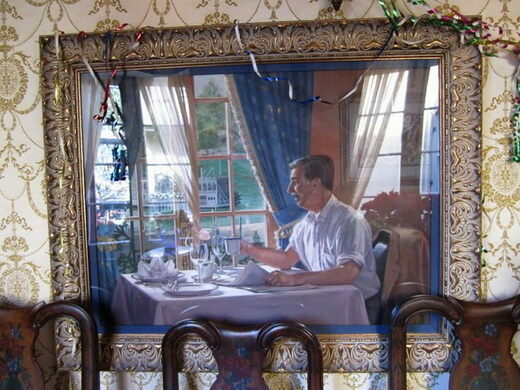 If you are lucky or connected enough to snag a reservation at the fanciest place within the happiest place on earth, you will be treated not only to wonderful food and drink, but service reserved for the most important of the very important people. You’ll see conceptual art and photographs unavailable for viewing anywhere else. 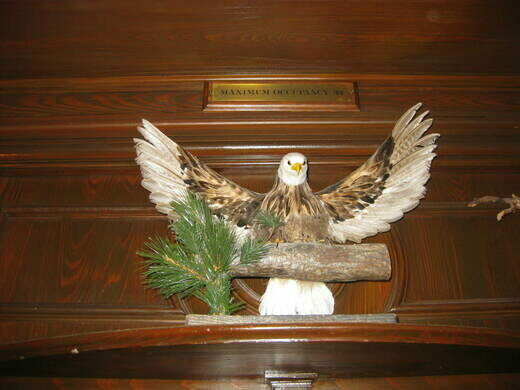 Make sure you ask your waiter to be so kind as to show you the trophy room, the less formal dining room filled with taxidermy and wood paneling. Walt had designed this room with some very interesting features to entertain guests including microphones in the chandeliers and a sound room with a two way mirror, allowing it’s occupant to overhear dining room conversations and converse with guests by speaking through a few of the trophies themselves. Patience and carefully worded questions may coax the staff into hypothetically indulging in the stories of Walt’s masonic ties, but like everything at Disneyland, you will leave still unsure how you managed to walk out feeling so enchanted, and no closer to the reality that lies behind Mickey’s curtain.